Good morning! Allow me to (re)introduce myself. I am Jeannie Mobley, one of the founders of EMUs Debuts, and I write historical fiction. Which is why I have been invited to return with a guest post on this great, glorious, momentous day in history. Yes, my friends. 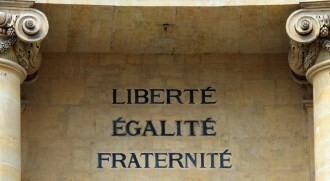 Today, July 14, is Bastille Day! Vive la France! Yep. I’m here because in 1789, on this very day 225 years ago, the French revolution began with the storming of the Bastille. A revolution that would culminate in overthrowing one of the great monarchies of Europe and see the king, and more notably (at least for my purposes here,) the queen guillotined in front of the populace. Yeah, so. She had a little money. But how much cake could she really be eating with that waistline? In truth, it’s unlikely that Marie Antoinette ever said this. The story comes originally from Jean-Jacques Rousseau’s autobiographical work Confessions, penned in 1765, when Marie Antoinette was a mere child and the storming of the Bastille was over twenty years away. Which brings us (obviously) to the Literary History of Cake. 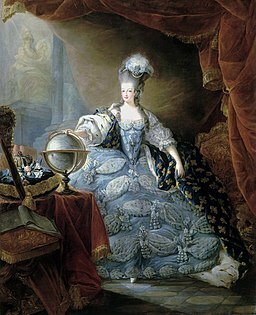 Because while I’ve been trying to educate you on French history, you’ve just been thinking about cake, haven’t you? About the tender sweetness of the layers and the buttery texture. About the chocolaty smoothness on your tongue, and the creamy, dreamy swirls of icing bursting with sugary delight across your tingling taste buds. Ahem. Where was I? Oh, right. The literary history of cake. But Tara’s journey with Cake didn’t begin with her debut novel, just as Gladys Gatsby’s journey in ALL FOUR STARS didn’t begin with Cake. In fact, we first meet Gladys preparing a non-cake French dessert, Crème Brulee. I’m not going to give you the details. Suffice it to say, if the French monarchy had had Gladys and her blow torch 125 years ago today, things might have turned out very differently. Vive la France! indeed. Gladys’s journey takes us through hilarious and astounding feats of cookery, despite her parents demands that she stay out of the kitchen, and on to her accidental assignment reviewing a top New York dessert bakery for a New York newspaper. It culminates not only with cake, but with mouth-watering moments of literary goodness you won’t want to miss. As for Tara, her journey has included some hilarious encounters with cake as well. Apparently, she has had a long fascination with cake in literature, claiming Roald Dahl’s Matilda as a favorite book, and the cake-eating-torture within it a favorite scene. Tara’s obsession with cake literature has even led her to reenact this scene. On video. On this very blog! And she thought when I left the blog she could stop being haunted by this picture. It’s sad, really, where the literary history of cake takes us, isn’t it? Congratulations, Tara. Because nothing is sweeter, or bursts more gloriously upon us, than a debut novel. And this one is sweet indeed. So stick with us all week to celebrate ALL FOUR STARS. Raise a slice of cake in honor of the event! Then wipe off those sticky fingers of yours and crack open a copy! You’ll find yourself cheering the whole time! What’s that you say? You don’t have a copy?! Well, there are three things you can do about that: buy one at your local bookstore, check one out at your local library, or LEAVE US A COMMENT THIS WEEK FOR A CHANCE TO WIN A SIGNED COPY OF YOUR VERY OWN!!!!! Congrats, Tara! Thank you for a book that sounds wonderful and also for a good reason to eat a bit of celebratory cake today. Can’t wait yo read it! It’s hard to imagine a better way to start off a Monday than with a history of cake, a slice of the real thing and a copy of ALL FOUR STARS. Hooray and Happy Book Birthday, Tara! Awesome kickoff, Jeannie. And hooray, Tara! I toast you and your marvelous ALL FOUR STARS with coffee and cake! Gladys, her blowtorch, and her determined spirit will find a home in many readers’ hearts. Vive le livre!!! What a marvelous, mouthwatering start to the debut week of ALL FOUR STARS!!! Yay for Gladys! Yay for cake! And YAY for TARA!!!!! Happy book launch week! And happy cake! Soooo excited for you,Tara. Thanks Jeannie for this fine post and a reminder of Tara’s cake-eating skills. I just watched the video again and laughed just as hard as the many other times I have viewed it! You had me at blow torch and creme brulee! Congratulations, Tara! Just wanted to stop by and congratulate you once again, Tara! All Four Stars is worth all the stars in the galaxy and is one of the sweetest, most scrumptious middle grade novels I’ve ever had the pleasure of reading. I absolutely can’t wait for everyone to meet and adore Gladys as much as I do 😀 With her blowtorch and her quick wit, I have a feeling she’ll soon be sneaking her way into many readers’ hearts. Doh! You are so right. I guess I just proved myself to be a history major, not a math major. But I made no mistake about how great ALL FOUR STARS is. You’re allowed, Jeannie. 🙂 I adore history, too, and math always made my brain hurt. I believe a parade led by flaming cakes may be required in order to celebrate the birthday of this fabulous book. Also, the eating of them. That’s also required. Happy Book Birthday to Tara — what a delicious celebration for All Four Stars! 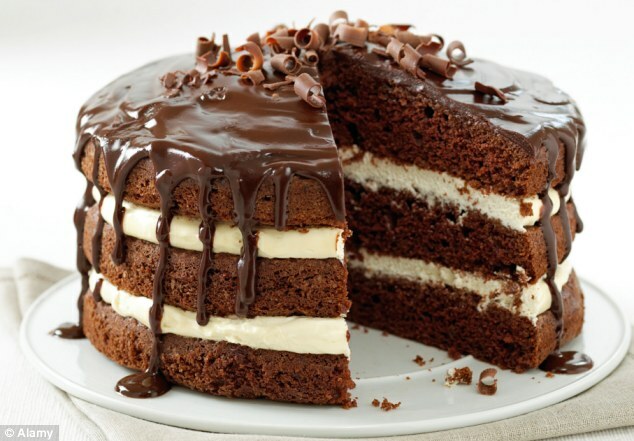 I am so craving cake. And a look at ALL FOUR STARS! Congrats, Tara! Hooray for Tara and Gladys, and the whole entire world for finally getting their own copies of ALL FOUR STARS!!!! Yay for Gladys! Yay for Tara! And yay for cake! Welcome to the world Gladys! What fun Gladys is having! Can’t wait to read more about her adventures. Everything is better with cake, but I feel a little queasy thinking of Tara eating that entire cake in one setting. Oye! Readers will love Gladys as much as we do. Cheers to sweet success, Tara! The photo of that cake made me salivate!